On Monday, Dallas paramedic and Republican electoral voter Chris Supurn said in an editorial in the New York Times that he would not vote for Donald Trump, but would consider casting his vote for John Kasich. That’s great for him, but apparently, that’s not what John Kasich wants. As the nation realizes what a mess we’ve made, electoral voters are scrambling for alternate Republican alternatives to Donald Trump. There’s a group of Democratic electors in Colorado and Washington who call themselves the “Hamilton Electors.” Armed with little more than hope and some topical humor, they’re doing their best to convince the others to vote for anyone else but Trump. Whatever you do, though, don’t vote for John Kasich! He may have tried to sell himself as a moderate during the election in an attempt to win both sides, but don’t be fooled. We’ve heard this “unity” talk from him before. Remember when he signed a $1.7 million bill that defunded Planned Parenthood in Ohio? 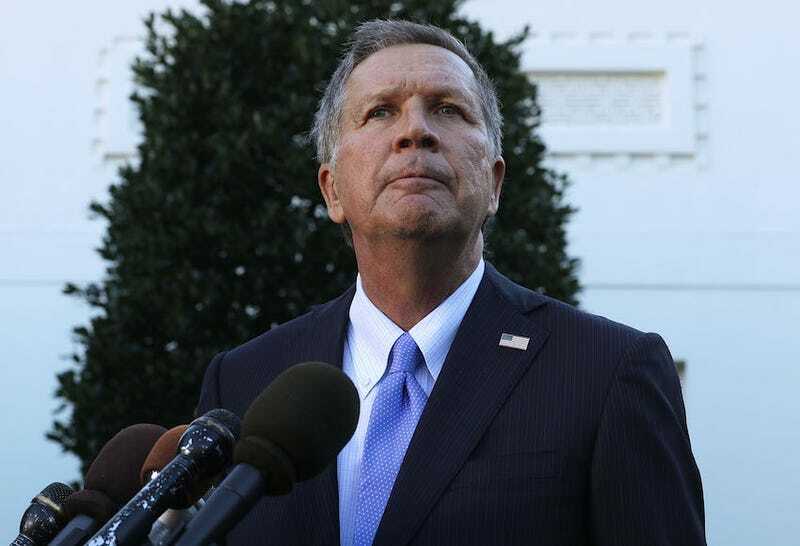 That very bill and a host of others that were equally bad were signed in private, while Kasich took to the national stage and preached unity for the duration of his failed campaign. “The election is over. Now is the time for all of us to come together as Americans,” he said. While that sentiment is lovely in theory, in practice, we may be far beyond that. But, hey, Ohio! Whatever you do, don’t vote for him, okay? He doesn’t want it.